I downloaded the archive of google app engine for eclipse 3.7 but when in eclipse i start to install,it starts using internet to download the plugins. When i disconnect and try to install,it gives me a message saying failed to contact the site. Why is that ? How do install google app engine plugin offline ? Follow the link they are given instructions to install GP in Local. To install the plugin, you have to drag and drop the plugin link or archive into eclipse if I'm not mistaken. Not the answer you're looking for? Browse other questions tagged java eclipse google-app-engine eclipse-plugin or ask your own question. 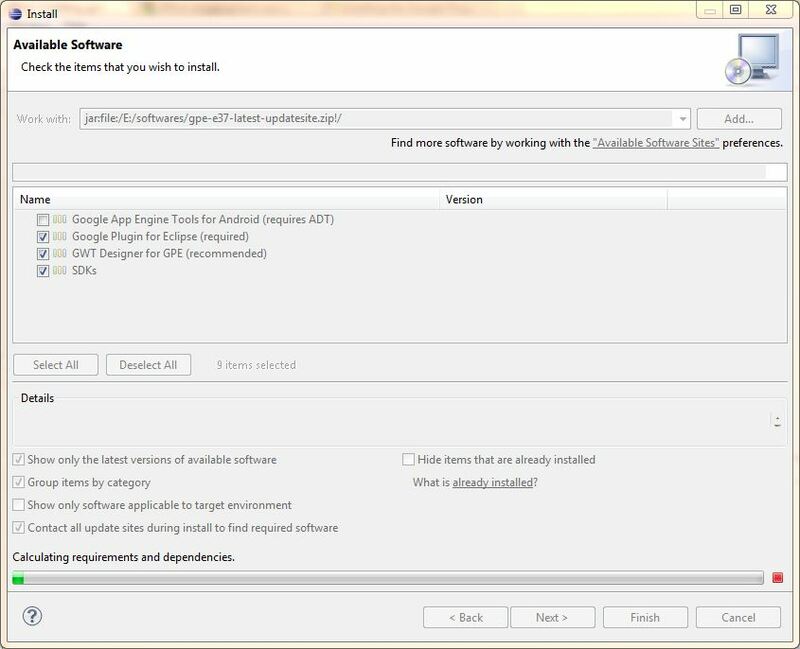 How to change(add) app engine sdk eclipse plugin 1.7 to 1.6?